Hi my server is Epimetheus (EU21). 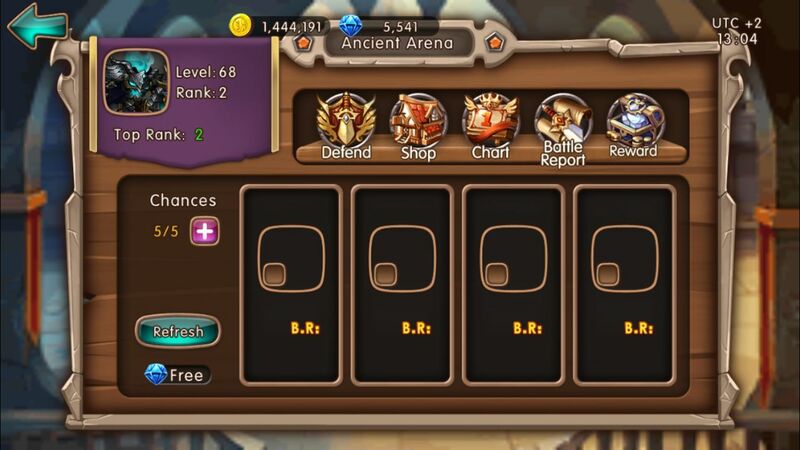 Anceint arena is bugged. Its been a week im 60+ but cant find enemies there. Also i cant get the daily rewards however i can get the hourly rewards from there. Also i tried to refresh the opponents but, its not working too. Its same for all server. Please fix that. Sorry you pic doesn\'t show here, could you submit it through forum? Thanks. i refreshed daily it still same. Its been a week or more and we have many players 60+. So thats mean there is a bug at ancient arena. Can any admin check it and keep update me please? Hi, If its still occurring as per your description I\'ll try to send a report regarding this matter for follow up. Thanks please send a report it has been more than a week. there are many 60+ players but we cant find any enemies at ancient arena even refresh. 2019-4-21 11:00 GMT+8 , Processed in 0.059901 second(s), 52 queries .